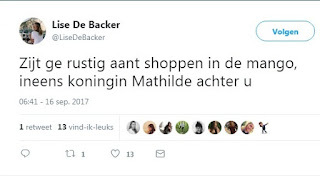 Student Lise De Backer tweeted she saw queen Mathilde in a Mango store. She was also spotted in Massimo Dutti on Saturday. 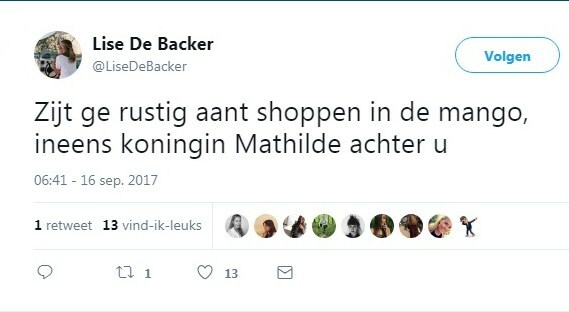 She and Princess Elisabeth were shopping in Docks Shopping Center.